After weeks of miserable, often wintry weather, I thought that spring had finally sprung last week – but no. That’s not putting me off sharing with you though some spring scents that I think will lift the spirits in the hope of the weather warming up again. Now is the time to ring in the spring; bring the new season into your home with some of my most delicate yet appealing fragrances – I’ve picked out our four favourite spring scents below. Looking for a fresh fragrance to give you a bit of a sunshine kick? Lotus Blossom and Waterlily is uplifting with hints of bergamot and tangerine. Delicate, delicious freesia is offset with the subtle, refreshing fruity notes of pear in this spring scent, inspired by leisurely walks through the countryside on a fine day. If pretty had a scent, this would be it. Pink Peony Blush is a feminine, flowery fragrance with more than a hint of heady jasmine at its heart. Warm up with the weather – Cardamom and Mimosa is a powerful, exotic scent with spicy Oriental overtones and notes of amber and honey. Since it’s prime time to dust off the cobwebs and undertake a bit of spring cleaning, don’t forget to give your car a clear-out, too. My stylish car fresheners are ideal for making your time on the road that bit more enjoyable. What’s new at Cheshire Home Fragrance? If you follow Cheshire Home Fragrance on social media you’ll already know that I’ve announced few new additions to the products on offer recently. Cheshire Pet Fragrance officially launched in mid-April as a range of designer dog colognes, expertly developed to keep your pet pooches smelling pawfect. 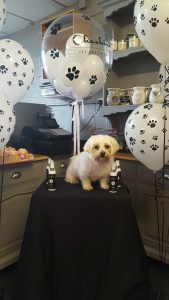 My very own darling doggy Bobby was the guest of honour at the launch, made extra special by the beautiful branded balloons created by the wonderful Lindsey Bradbury of Balloon Ur Room. The range currently consists of five fragrances: Poochie Black, Black Pawpium, 1 Dog in a Million, She’s 1 Dog in a Million and Jinny Chow Chow – pop in, have a sniff and watch this space for more news on Cheshire Pet Fragrance products. Bobby was the perfect model for the day at the launch of Cheshire Pet Fragrance. I was also delighted to announce that Cheshire Home Fragrance now stocks some super bath blasters that not only smell divine but that are also a real treat for the eyes. Available in a range of popping colours with hand-finished decorations, these bath bombs make ideal treats for someone special and at just £2.99 each, they’re a perfect treat. 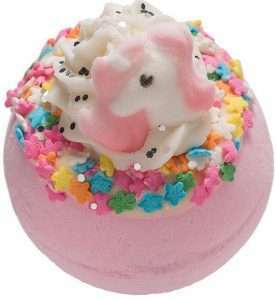 Gorgeous bath blasters – the perfect treat. I also now stock Bath Blaster Greetings Cards – a card with bath bomb gift enclosed and am selling a lovely range of toiletry gift sets by Winter in Venice. Winter in Venice prides itself on its natural formulation and hand finished reusable gifting ideas. Their formulations are enriched with shea butter, Cocoa Butter, Mango Butter, Almond oil, Plant and fruit extracts, Vitamin A, Vitamin E, Pro Vitamin B5 and Evening Primrose oil. They are against all forms of Animal Testing and are one of the first UK Brands to remove all parabens. Winter in Venice is all about creating avenues to nurture and be nurtured or feel nurtured and loved. Great emphasis is placed on the reusability of items to that the gift is a contact reminder of the person who gave it you.. nothing gets thrown away. This week, I’ll be adding to my candle line with a brand new fragrance, Citronella, handmade with essential oils. The powerfully uplifting citrus scent is crisp and grassy, ideal for keeping those pesky bugs at bay. I’ve been testing them out in the showroom today and the fragrance is unreal. You won’t be disappointed. 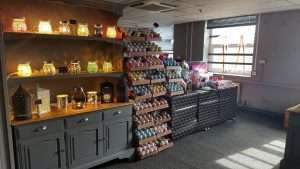 Don’t forget your welcome to pop into the new look showroom to have a browse and check out and have a “sniff” of my latest lines and if you’re not local, you can always shop in the comfort of your own home on my website. The new look showroom is proving very popular. Look out too for my next blog post over the next couple of weeks for lots more exciting news from Cheshire Home Fragrance – I don’t want to put it all in one post as there’s just too much.